WILLIAMSFIELD – Lots of energy and enthusiasm projected across the stage through a crowd of three and four-year-olds at this year’s Thanksgiving program and luncheon on Thursday, Nov. 15 as held by Williamsfield Preschool.(Nov. 30 edition). According to Head Teacher Carrie Hall a lot of preparations were required beforehand in getting ready for their big day for families. Many of the families seemed pleased with the special songs and snacks that day as well, including Kinsman residents Suzanne Mullet, Gloria Davis and Katrina Woodside, Wayne Township resident Ralph Smith, as well as Gina Babcock of Williamsfield. 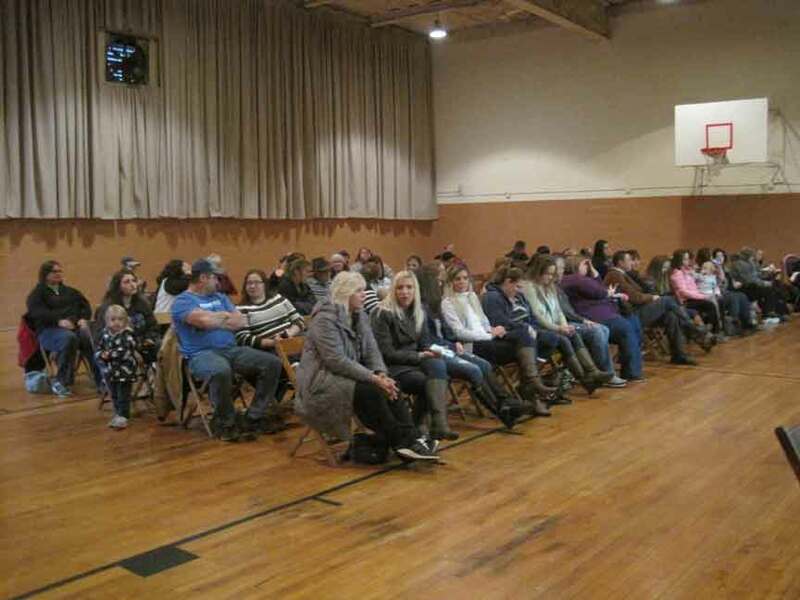 Pictured: Parents and guests eagerly awaiting this year’s Thanksgiving program as organized by Williamsfield Preschool.